However, local shoppers will be reassured to learn that the business itself hasn’t changed; it’s still an independent off-licence and it still offers a great selection of fine wines, beers and spirits as well as expert advice on choosing them. Former Thresher franchisee Ed Killworth, who acquired the business last year, has decided to operate the branch as an independent concern – with a new name and new look to create a stronger identity for the already successful business. “Vinalia” was an ancient Roman wine festival celebrating Jupiter and Venus, and the shop that bears its name is certainly the place to come if you want to do some celebrating of your own – the competitive prices, regular special offers and gift ideas are ideal for the upcoming party season, not to mention the handy home delivery and glass hire service. The sheer amount of choice at Vinalia means there’s something for everyone, from occasional drinkers to connoisseurs and everyone in between. Ed is also happy to source rarer items for customers on request, ensuring that Vinalia lives up to its own tagline: “ The Spirit of Excellence”. 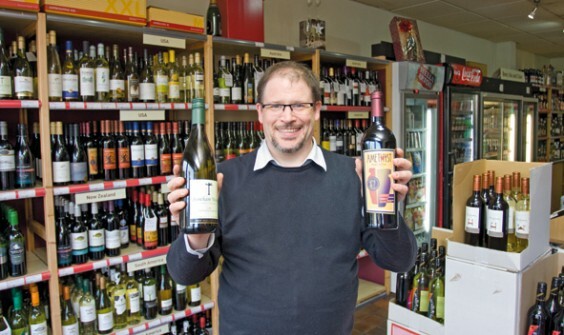 “Since the business became independent, I’ve been able to introduce a wider range of stock and change it on a regular basis,” explains Ed, who is well qualified to advise on the best drinks for every occasion – in addition to his experience in the industry, he holds an advanced certificate from the Wines, Spirits & Education Trust. Ed has also received a recent certificate for Outstanding Care of Hanging Baskets from Barnt Green Parish Council, proving the shop has more than earned its place in the community. As well as providing villagers with a convenient and friendly place to buy booze, Vinalia will offer another essential service by continuing to operate as a DHL service point. Customers can bring in a parcel or have it packaged using DHL’s free packing service, and it will be collected next day and delivered anywhere in the world. Ed is planning to hold a special opening event to introduce people to Vinalia, so look out for publicity in the coming weeks.